2018 is rearing its head, and the engineering industry is already looking to the expected trends the New Year will bring. Tension springs look set to play a key role in some of the big engineering movements of 2018, as the age-old mechanical component continues its efficacy in line with hi-tech innovations. Tension springs are metal coils wound tightly to operate with varying levels of tension. They are designed to stretch to a predetermined length when a load or force is applied to them. This is usually used to ensure the components that stretch the springs will always return to their original position. With the fourth industrial revolution taking place as we speak, new advances in technology are driving unprecedented demand for engineers, technicians and technologists in numerous industries. One industry that is expected to continue trending in 2018, and which demands the input of tension spring designers and manufacturers, is the automation and robotics industry. There is widespread adoption of plant automation systems and robotics that is set to continue impacting productivity in the foreseeable future. Springs are a fundamental component of robotic movement, contributing essential tension and compression for smooth, human-like mobility. Every single component of a robotic device is vital for it to function in the way it is supposed to, so the quality of tension springs must be fit for purpose. Manufacturers of quality tension springs are sure to see demand from the robotics industry in 2018. Another prominent expectation for engineering in 2018 is the growth of digital manufacturing outlets like the Industrial Internet of Things (IIoT). The demand for solutions and services in the online space looks set to continue growing, and suppliers of components and tech are an important part of the chain. With increasing use of this type of manufacturing for automobile parts, tools and medical devices, the demand for quality tension springs from the supply chain will keep spring engineers and manufacturers busy in the foreseeable future. Open innovation is expected to proliferate further in 2018, as modern research practices continue to promote collaboration between manufacturers and suppliers, underwriters, engineering services firms, consultants and freelance engineers. These collaborative projects promote innovation and ingenuity, and the role of tension springs is sure to escalate as many of the more cutting-edge technologies rely on them for essential mechanical functions. The engineering industry is going through one of its most exciting transitional phases of all time. Trailblazers in invention, electronics, computing, robotics, and general technological research are driving this industrial revolution, and the demand for skilled engineers is soaring year upon year. 2018 looks set to see engineering lead the way in the continuing march into the future of the digital age, so anyone involved in the industry has plenty to be excited about. A New Place for Tension Springs? With all the technological advances in the modern age, there is still no better mechanical component for certain jobs than the humble and reliable spring. Tension springs are finding new places with each move forward in engineering, and they are sure to play a huge role in the engineering trends of the new year. 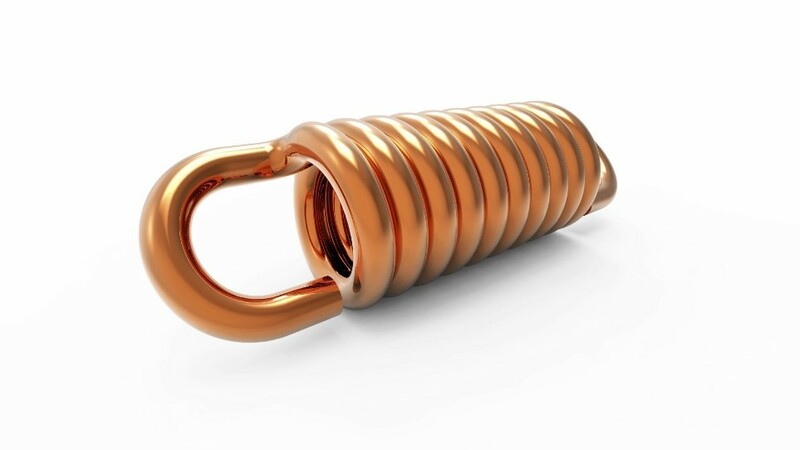 If you would like further information about European Springs tension springs, you can watch a video and see further details and specifications on our product page here. You can also send us a quick enquiry on this page. European Springs are leading experts in spring manufacturing and high-speed press technology. We have over 50 years of experience, proving that we have the knowledge and expertise to provide the highest quality tension springs to all our customers. This entry was posted in Case Study, Engineering, News & Updates. Bookmark the permalink.